From time to time we have a few stock tables for sale. If you’re interested please contact us for further information. 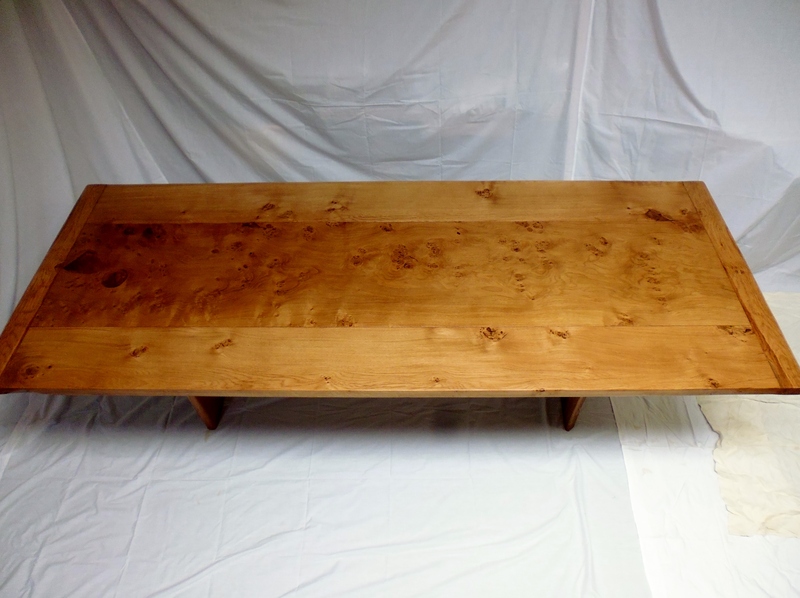 There are two handmade tables for sale at the moment. 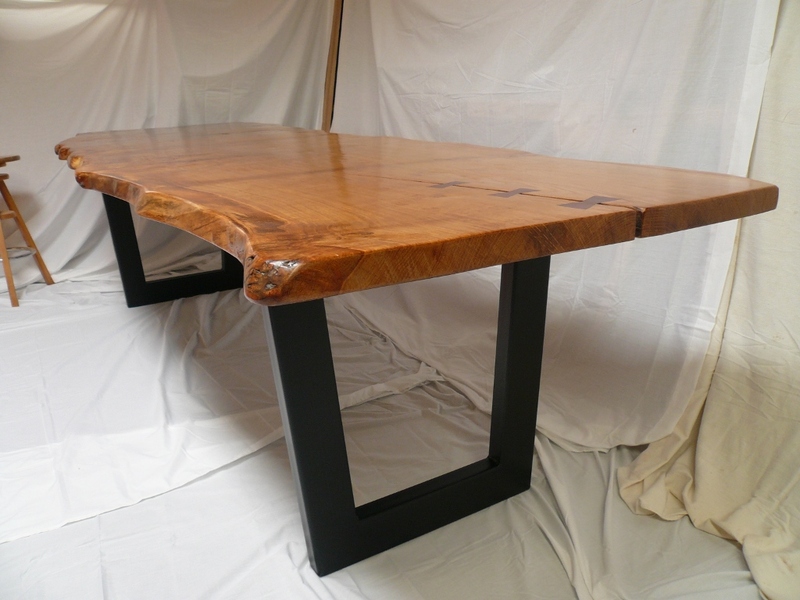 One is a beautiful live edge pippy Oak slab top with a charcoal metal base. Dimensions = 3m (10ft) x 900mm (3ft). The top is 40mm (1.5in) thick. 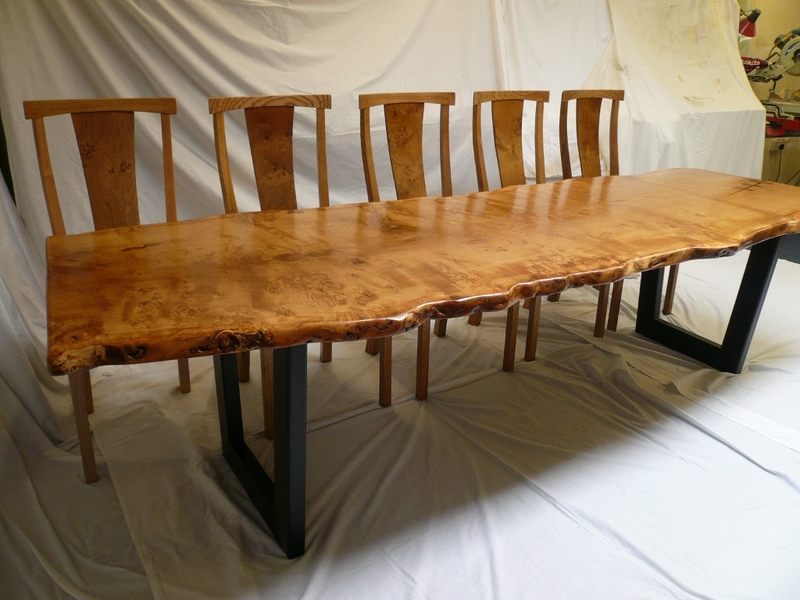 As mentioned in my earlier blog, the tree that this timber came from must have been at least 250 years old before being recycled into these very handsome pieces. 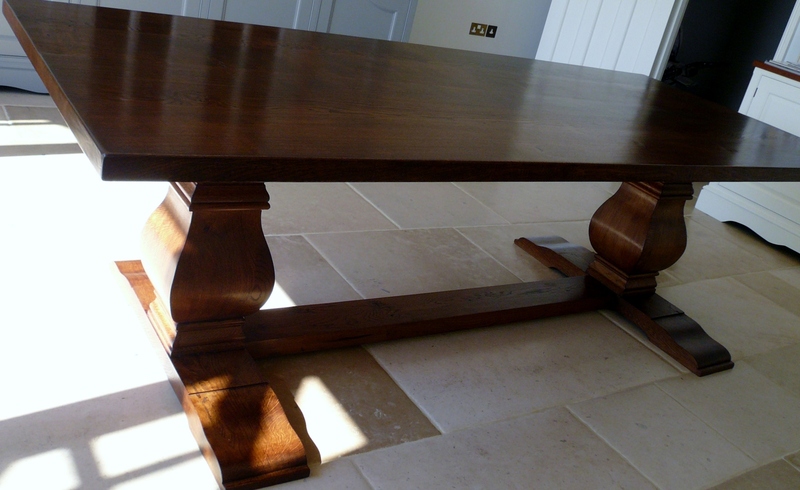 Here is an English Character Oak table for sale. Dimensions are 2m x 900mm x 40mm thick. Choice of the base. Contact me here for details. 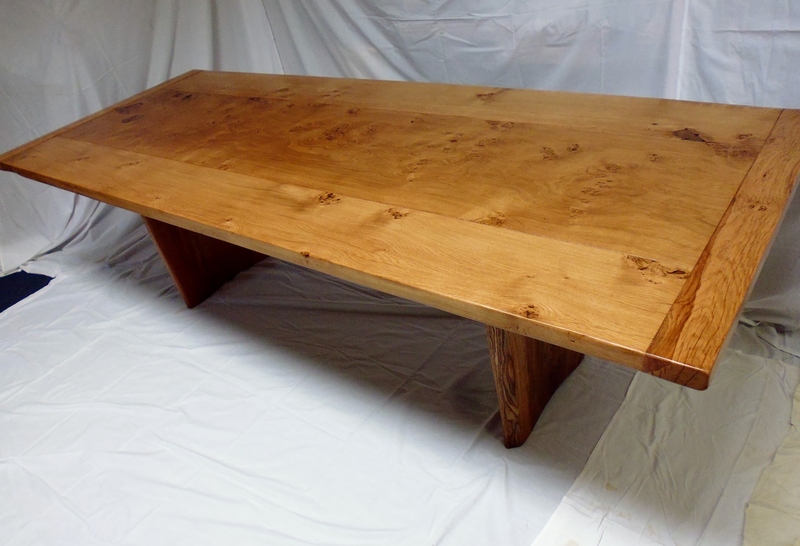 Handmade Pippy Oak table for sale with a beautifully rare full character 3 board top. The central ‘show’ board is 500mm wide, with the 2 outer boards being 250mm wide and 40mm thick. 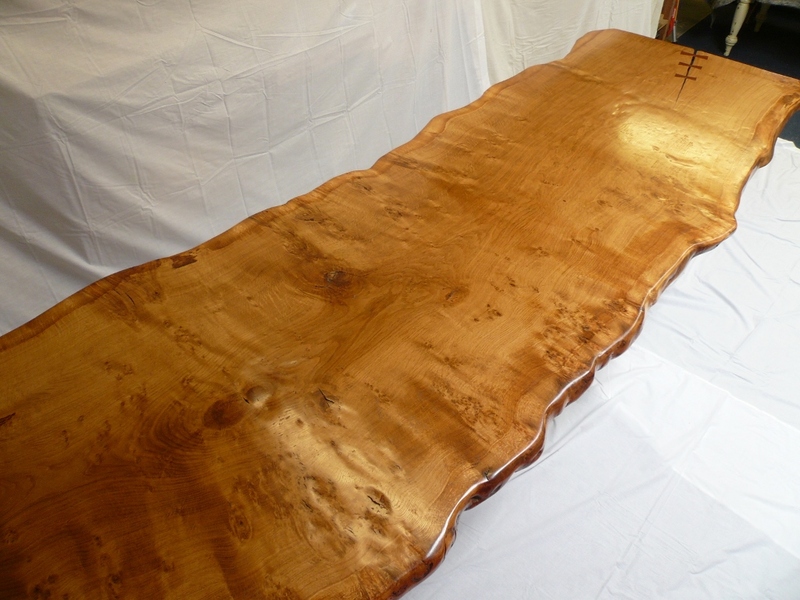 The handmade table dimensions are 2.6m (8ft 6in) x 1m (3ft 3.5in). The buyer has the option of a metal or wooden base. 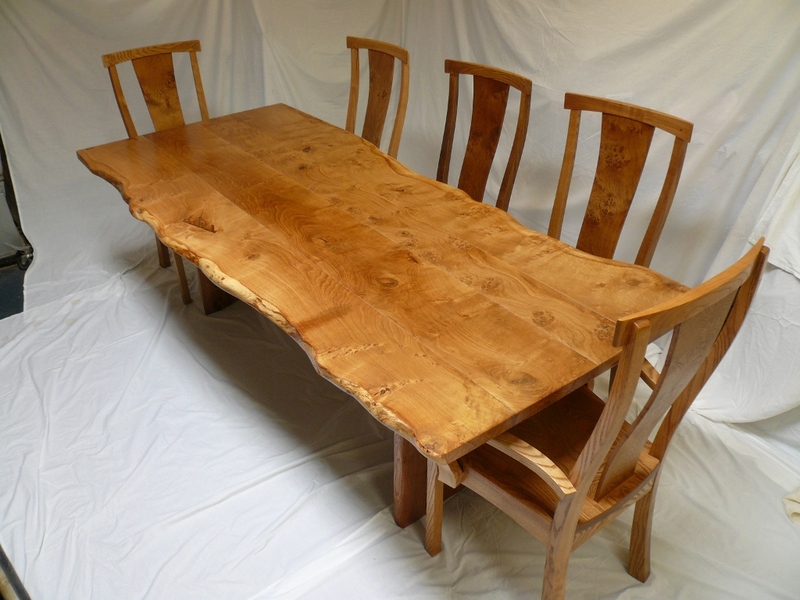 This table, with the full character Pippy oak central board is the last board from the full character Pippy Oak log that I managed to source from one of my very conscientious timber merchants, of which I have been fortunate to construct 4 wonderful tables from, 3 of which are gracing discerning homes. The first of which was for a very special commission. Another name for Pippy Oak comes from America in the form of ‘Cat’s Paw Oak’, of which you may be more familiar. 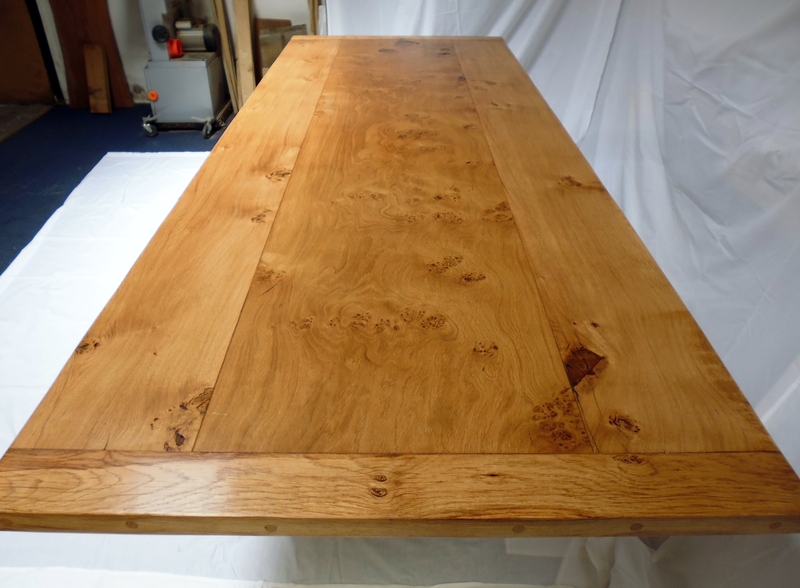 In this blog, I’m going to take you through some of the processes required to create a beautiful bespoke handmade extending refectory style table in pippy Oak. Here at Quercus Furniture it is our aim to use only the finest materials. 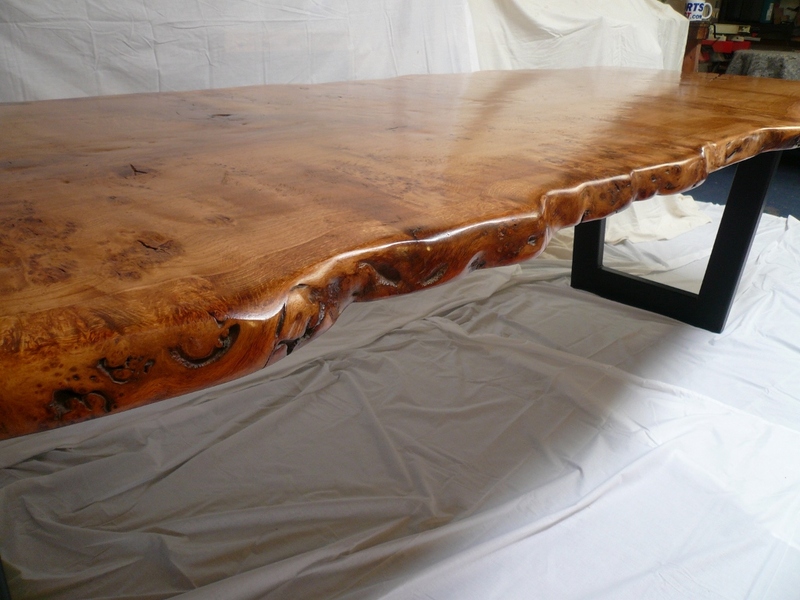 The chosen timbers are sourced and selected personally to ensure quality and that they match, as close as possible, the client requirements and vision. 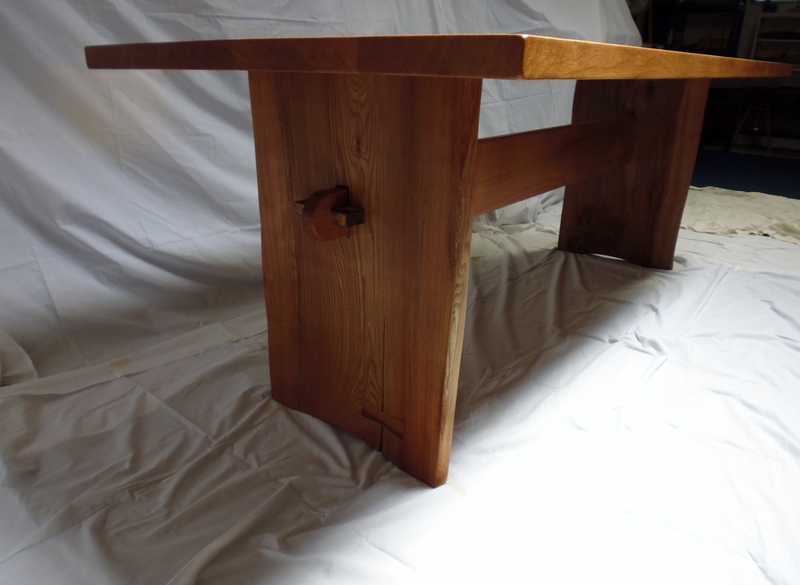 The clients had fallen in love with some images of Pippy Oak Handmade Tables on my website and required the handmade table to be extending and in a refectory table style. After a few phone calls to my local sawyers and saw mills and a couple of visits I was delighted to discover some beautiful Pippy Oak boards that are going to be perfect for the commission. 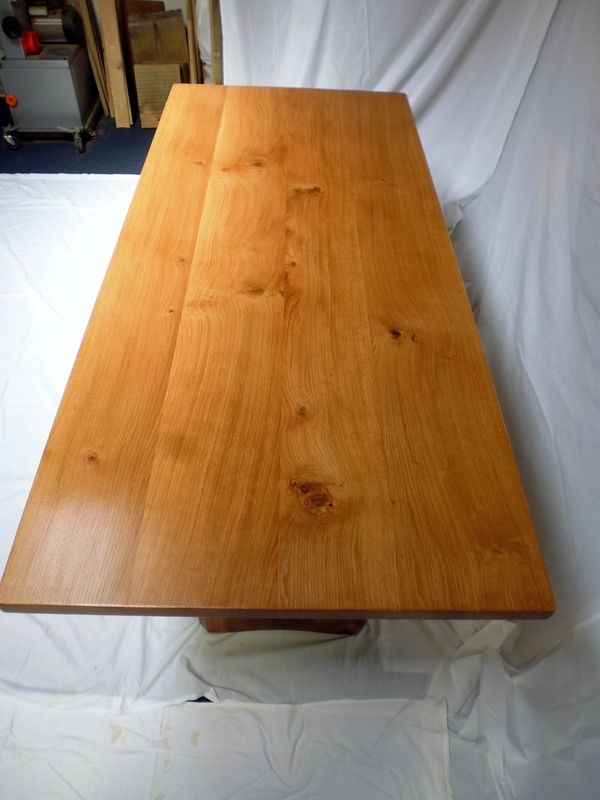 After being in the kiln for a couple of weeks to bring the moisture content down to a workable 10 – 12 percent, the boards for the bespoke handmade table in Pippy Oak commission were delivered to my workshop to begin the project. First job is to size the boards using the good old chalk line and skill saw (Oh for a table saw). Photo’s are coming but I’m having a glitch uploading them at the moment!! Ok, so I’ve managed to post some photos of the pippy Oak boards in their raw state. (somehow they’ve ended up at the top of the blog!! I’ll take another lesson….). At first glance they made not look like much, but I’ll stick my neck out and say they will turn in to thing of beauty. The bespoke handmade table in pippy Oak project begins. 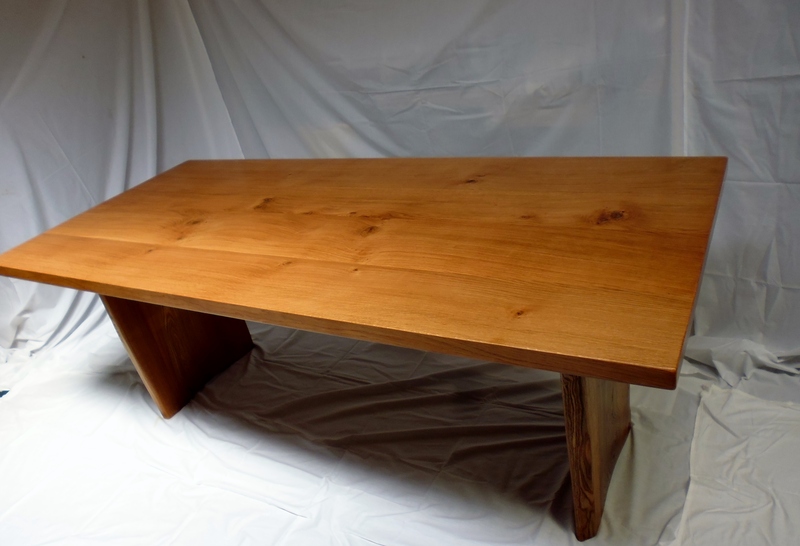 The bespoke handmade table in solid oak turned out to be a thing of beauty this handmade oak table. 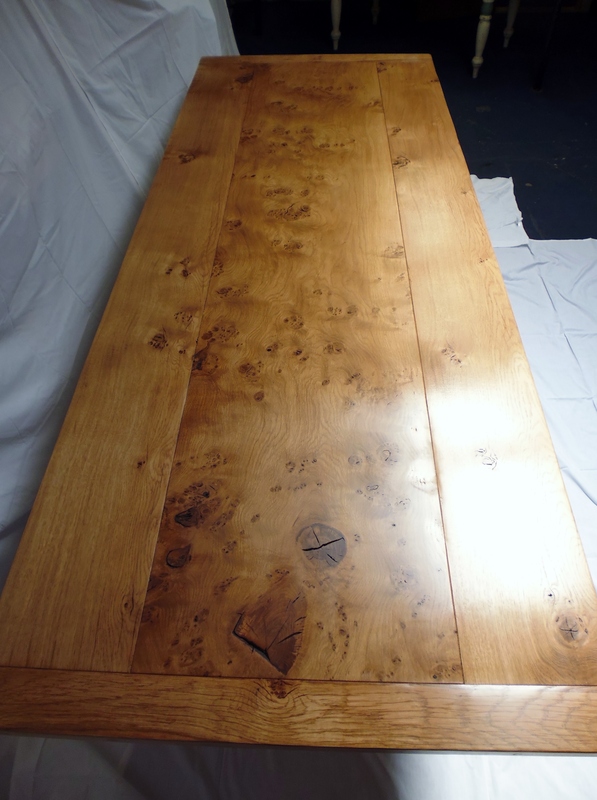 The clients were very happy with the colour/stain and the hand applied oil/wax finish. The hand crafted finish has been a process achieved and honed after many years of experimentation with different products, whether bought off the shelf or workshop made by age old tried and trusted recipes. The finishes that I have chosen from these experiments and research now form the two options that I now think my clients value. Both are environmentally and ethically sound. They are both natural mixes of plant oil and natural waxes that are micro-porous and highly resilient to every day living. Apologies I’ve been away for a while what with the busy workload and other stuff that’s been really great. 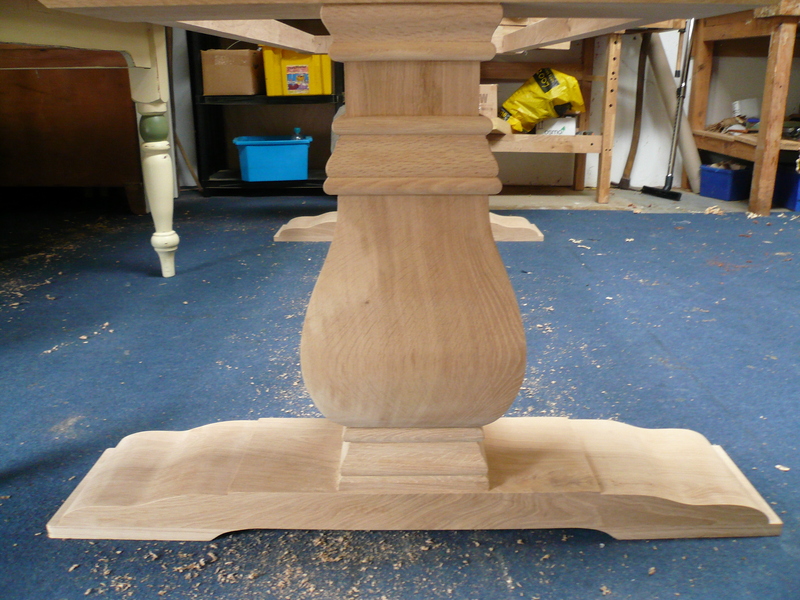 However to the update for my clients bespoke handmade table in solid oak with intricate bulbous legs. All has gone very well if a bit nervy with the leg shape cutting on the band-saw!! All leg ‘plant’ timber was planed and glued up straight away to avoid any movement which would have created weakness in the section. 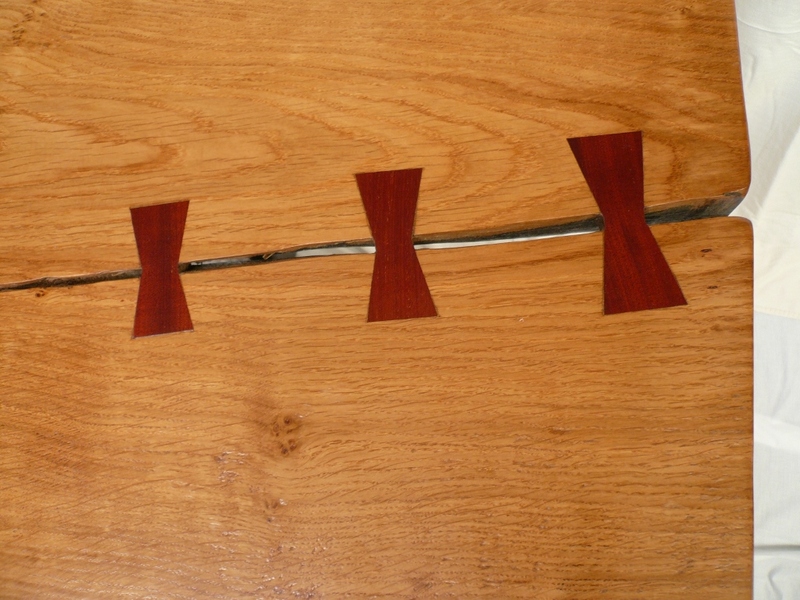 Once dry the leg was marked out to the desired shape on all 4 sides the the band-sawing began. As each side was sawn to shape the off cut was pinned back on so the leg could be rotated, the same for each side until all four sides were finished. Off cuts were then knocked off and the sanding process began. 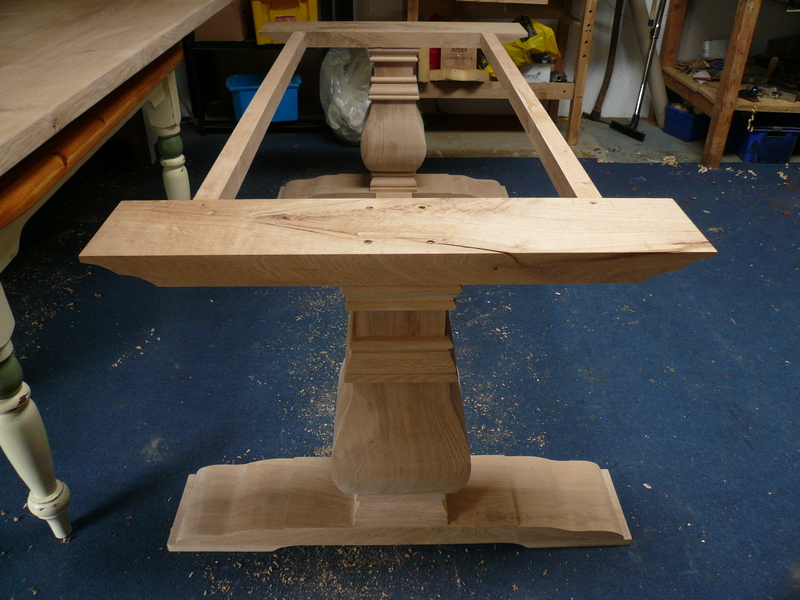 The bulbous legs were then mortise and tennoned into the top and bottom bearers which in turn were fixed to the centre stretcher and the top side rails to complete the oak. See photos. Bespoke handmade table with intricate bulbous legs is a request from a client that I have been working with for some time now. 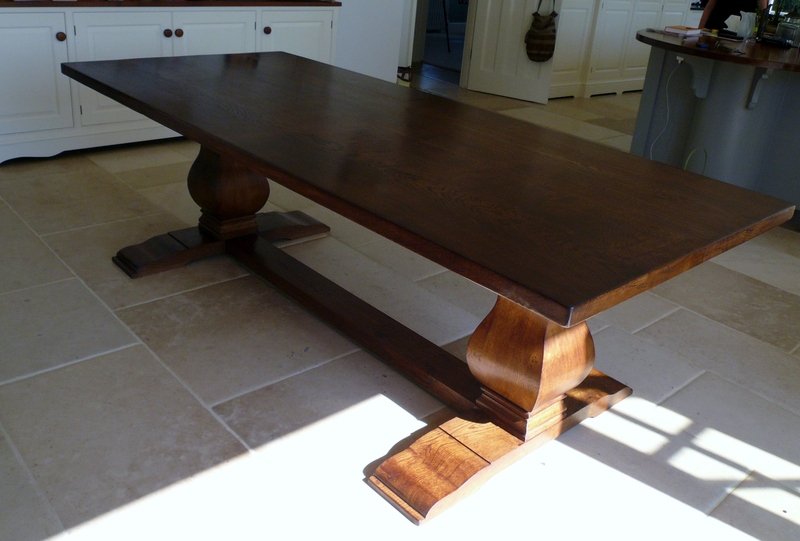 The original remit for a made to order table was to be in the traditional handmade refectory table style i.e. 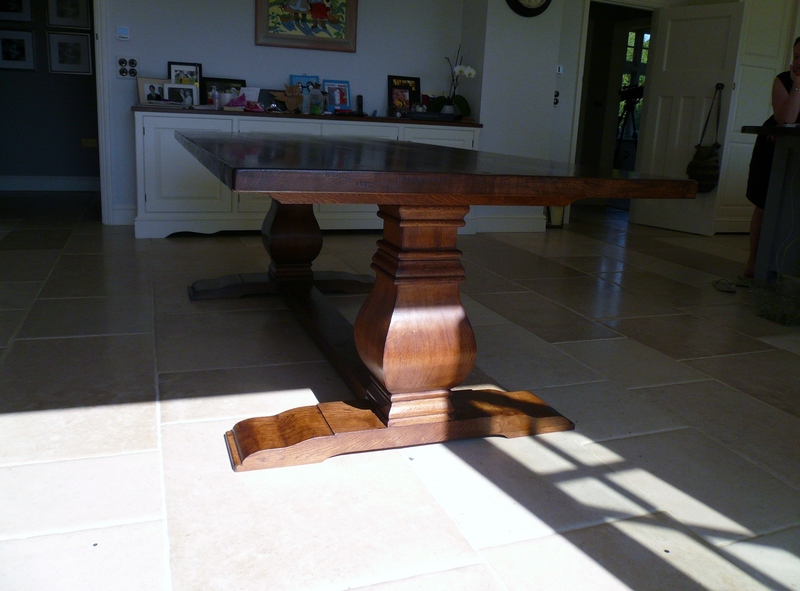 four corner legs and a connecting centre stretcher in solid character oak. 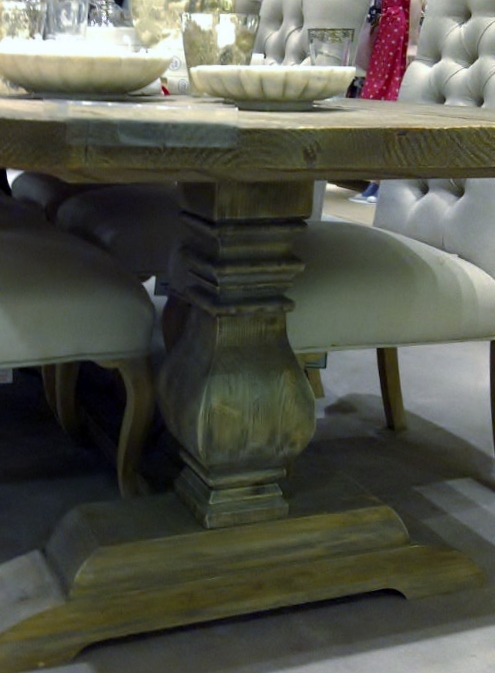 However, after a shopping trip to find soft furnishings for their beautiful new home the clients spotted a table with a base that they both really liked (see photo). The problems were that it wasn’t handmade in oak and not to the desired size. 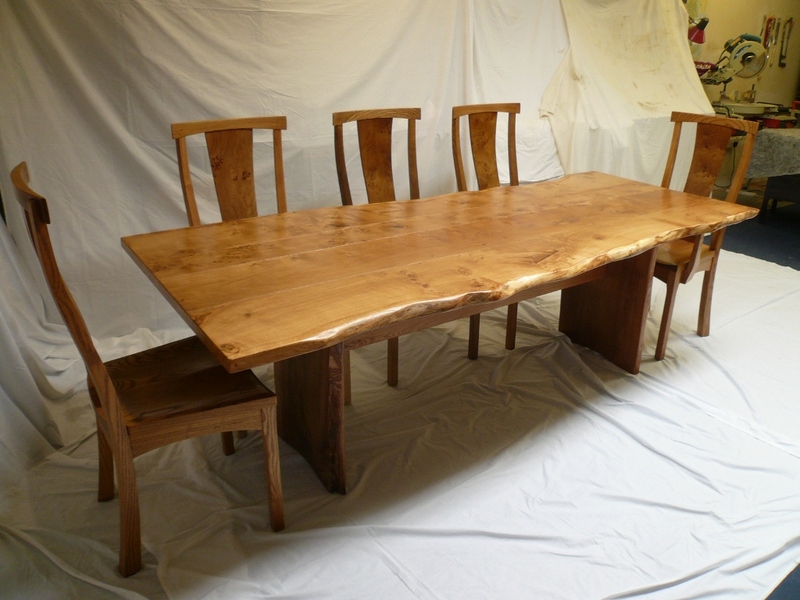 So they took a photo of the table, sent it to us at Quercus Furniture to see if it was possible to style a handmade table similar to the design but in-keeping with their requirements of dimensions and in solid oak. As a table maker this request is quite common and serves as a useful tool in understanding client design preferences.So the cutting list has been made and the timber sourced and ordered – so watch this space as the commission progresses. The handmade table in pippy (cats paw) oak with the trestle style reclaimed oak base commission is finished and awaiting delivery.